David graduated from the University of Glasgow in 2004, and has worked in practice in both Scotland and Ireland during the past 11 years. David attained Membership of the Faculty of General Dental Practice (MFGDP) in 2006, becoming one of the youngest dentists to have ever attained the qualification at that time. He subsequently became a Postgraduate Tutor in Belfast for the Membership of the Joint Dental Faculties postgraduate exam (MJDF),a position that he performed for 2 years, mentoring and guiding qualified dentists through this process. In addition, he has a particular interest in wrinkle smoothing treatments to correct frown lines, forehead lines, and crow's feet lines, but also more complex lines around the mouth and neck. He uses dermal fillers (hyaluronic acids) such as Juvederm and Restylane regularly, whereby lips and cheeks can be enhanced, and fine lines removed. These are treatments that he has been providing for over 11 years. David has also recently started offering Profhilo in Belfast, which is proving to be extremely popular, as this is a revolutionary treatment that tightens lax skin, and improves the skin texture, tone and vibrancy by promoting collagen stimulation. Having attended many facial rejuvenation courses world - wide over the years, David has become fully certified and indemnified for the uses of popular non-surgical cosmetic procedures. He has carried out huge numbers of these treatments, and is now one of the most experienced practitioners in this field in Northern Ireland. In 2007, he joined one of the largest Cosmetic Surgery Groups in the UK, for whom he carried out all of their non-surgical treatments in Northern Ireland during a six - year period. These treatments included wrinkle smoothing injections, lip and cheek enhancements, chemical peels, dermaroller and hyperhidrosis treatments (for excessive sweating in armpits). David is an award - winning dentist and has been recognized by his peers in industry awards. 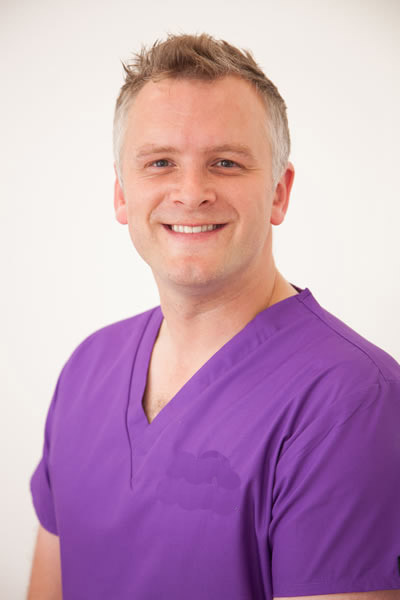 In 2012 at the UK Dentistry awards, he won the category of best dentist under the age of 35 in Northern Ireland, and in 2013 he was runner up in the same category. In 2017, he was recognised for his work in the facial aesthetics arena at the prestigious Aesthetic Dentistry Awards, being the only injector from Ireland to feature at the event. He is currently a member of the Irish Dental Association, Faculty of General Dental Practice, and the British Orthodontic Society. In addition, he is one of only a handful of individuals in Ireland to hold gold level membership of the International Academy of Advanced Facial Aesthetics (IAAFA), an organization that is dedicated to advancing the art and science of the facial aesthetics field. To book your free consultation appointment with Dr David Buchanan, please call our confidential telephone number on 046 9021203.